A federal grand jury has indicted the former owner-CEO and three other ex-staff of Miami-based FastTrain College, a for-profit school that had ties to Florida Members of Congress before the FBI raided its campuses in 2012. The South Florida Business Journal reported late this afternoon that the former CEO, Alejandro Amor, 56, (pictured above), was arrested and appeared in federal court in Miami today, along with former admissions officers Jose W. Gonzalez, Michael Grubbs, and Anthony Mincey. The 15-count indictment charged the four with theft of government funds, and each could face five years in prison. FastTrain, founded in 1999, operated campuses in the Florida communities of Miami, Plantation, Tampa, Jacksonville, Pembroke Pines, and Clearwater. FastTrain and Amor built especially strong ties to U.S. Representative Alcee Hastings (D-FL). Amor gave campaign contributions to Hastings, as well as Rep. Debbie Wasserman Schultz, former Governor Charlie Crist, and the Florida Republican Party. FastTrain violated federal rules that require students to have either a high school diploma or a GED before signing up. The indictment outlines numerous alleged instances where FastTrain administrators broke this rule. Students were misled to believe a high school diploma wasn't required, or that they could earn it while attending the college. In one instance, at the Fort Lauderdale campus, FastTrain is accused of telling a prospective student that she could "earn" her high school diploma by taking an exam that the school provided her. After the exam was done, FastTrain gave the student "a fictitious and fraudulent diploma from Cornerstone Christian Academy," the indictment states. All told, prosecutors say FastTrain admitted roughly 1,300 students who didn't have high school diplomas -- using fraud to make the government think the students were eligible for financial aid. The payoff: FastTrain received $6,560,000 in Pell grants and student loans for those students. A separate federal whistleblower lawsuit pending in Florida charges that FastTrain's "business model is to enroll as many students as possible in order to become the beneficiary of more federal funding.... To achieve this purpose admissions representatives drive to low-income neighborhoods and tell people that if they get in the car, they will receive a quality education and job opportunities. Admissions representatives then drive carloads of prospective students to a FastTrain campus so that enrollment and financial aid paperwork can be completed. Many of these students do not read or understand English, cannot write their own name, do not have high school diplomas or equivalents, and do not have identification cards." FastTrain, until it ceased operations, was a member of APSCU, the for-profit colleges' lobbying group, which today once again used your tax dollars to hire expensive lawyers to convince a judge to strike down (at least temporarily) federal regulations aimed at curbing the industry's well-documented recruiting abuses. While the FastTrain execs have only been accused of crimes at this point, the former president of Texas-based American Commercial College was sentenced today by a federal judge to two years in prison and ordered to pay almost $1 million in restitution for stealing federal student aid. Doyle Brent Sheets, 58, of Lubbock, was also fined $5000, and his school was fined another $1.2 million. of big industry players like Corinthian, EDMC, University of Phoenix, ITT Tech, Kaplan, and Career Education Corp. The photos below, from a social media profile connected to Amor's family, show how this CEO, charged with defrauding taxpayers, has been able to live -- wet bar, pool table, fancy home, yacht, private plane, etc. Social media posts from his family show multiple vacations: ziplining in Puerto Vallarta, fishing in the Bahamas and relaxing by the pool in St. Croix. Amor's wife drove a shiny Jaguar XF Portfolio. 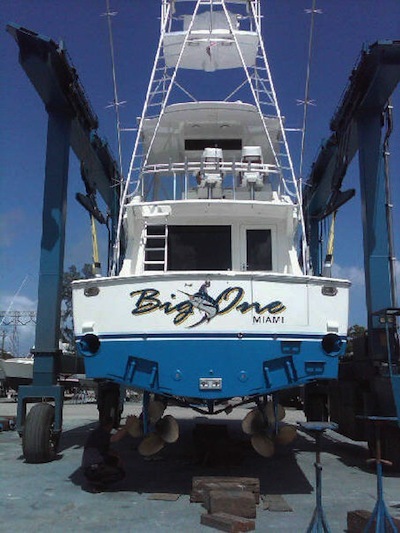 The family lived in a waterfront $2 million home and frolicked in the water on a 54-foot yacht named the "Big One." The Amors even had their own private plane. Mark Schnapp, a defense attorney for Amor, said the government's allegations against his client are "wrong." "If students were found to be ineligible to receive a grant or loan, they were either not accepted or if they had already started their studies, the money was returned to the government at a loss to the school," he said. Schnapp said FastTrain "provides skills and opportunities to an under-served community in a difficult economic time. It is proud of its achievements in training its student base." 1. Indictment (including provisions seeking forfeiture of four homes; Jaguar, Mercedes, and Corvette automobiles; three boats; an aircraft; and bank accounts).